Successfully saved Jack Daniel's Smoky Bacon Mac and Cheese to your Calendar. You can also save the ingredients to your Grocery List. 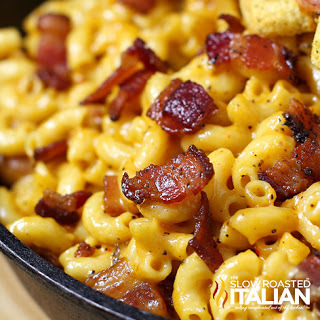 Jack Daniel's Mac and Cheese recipe loaded with hickory smoked peppered bacon, tons of ooey gooey smoky cheese and a selection of spices to wake up all your senses. This is the mac and cheese of your dreams.